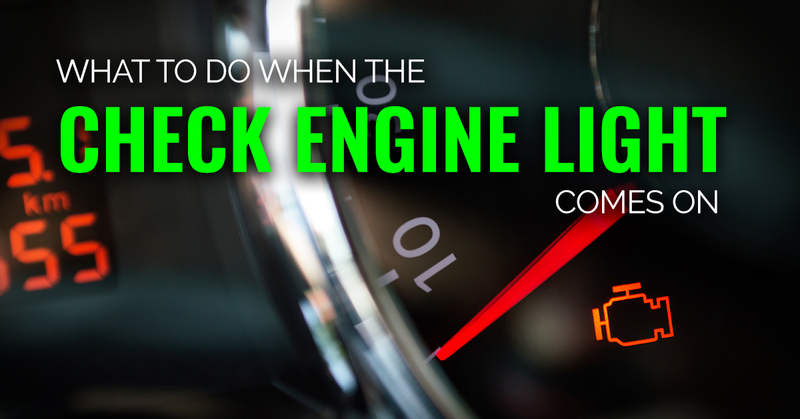 Many vehicle owners groan or panic when they see the dreaded check engine light light up. This is often because there’s no apparent reason for what’s wrong. But don’t panic just yet. A check engine light or service engine soon notification is often the result of something simple and easy to fix. Chances are, it’s because of your onboard diagnostic system. This is a computer in your vehicle can control and monitor the car’s performance. When there’s something out of the ordinary or a part of the vehicle is operating less than optimally, your vehicle’s computer and on-board diagnostic system (or OBD) will light up the check engine light to let you know there’s a problem. Taking your vehicle to a shop of certified technicians is the best idea to get the most accurate diagnosis, but you should still know what to watch out for. Here are three important steps you should take when you notice that your check engine light is on. Thankfully, your car’s onboard diagnostic system will alert you if there’s a serious or emergency problem with your engine. You’ll be able to tell because the check engine light will be flashing instead of steadily remaining lit. If this is the case, stop driving your car immediately and have it checked out by a professional technician. However, if the vehicle’s check engine light is just lit up and not flashing, you can feel free to look into the problem a bit more yourself before consulting a technician. When a check engine light comes on, it’s the result of a diagnostic trouble code (also known as a DTC). To learn what this means, take your vehicle to a local auto shop and ask for help reading your car’s diagnostic trouble code. A trained mechanic will use a specialized tool to find out what code is causing the light to turn on. But keep in mind that these codes are only half the battle. You’ll still need to get your car diagnosed by a certified technician if you really want to fix the problem. Many times, a check engine light is just the result of an easy and inexpensive repair. For example, one of the most common causes of a check engine light is a loose gas cap. A loose gas cap can cause the oxygen to fuel ratio to get slightly off if your engine which will initiate a DTC that indicates a problem with the fuel system. Simply tightening your gas cap and then clearing the code can remove the check engine light on your car and set your mind at ease. So, before you put a lot of money into your vehicle for repairs, try a few simple tricks or fixes. If you aren’t sure that the issue causing your check engine light alert is fixed, contact the trusted professionals at a certified auto repair shop. By taking your vehicle to a reliable repair shop you can rest easier, and driver safer, knowing you’ll be able to finally turn that check engine light off. Don’t wait to have you service engine light looked at. Schedule an appointment online today and see the friendly auto experts at Action Gator Tire.